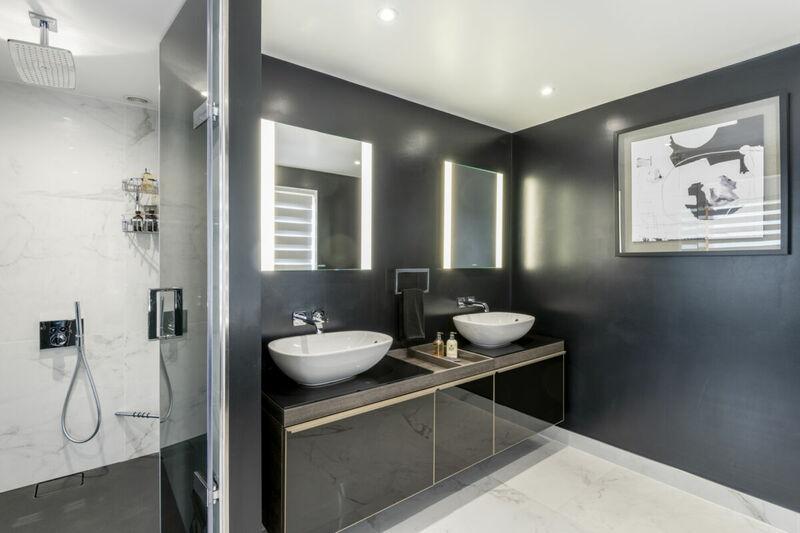 Long-standing Matki specifier and showroom, Kuche & Bagno, have completed another thrillingly unique Bathroom project. 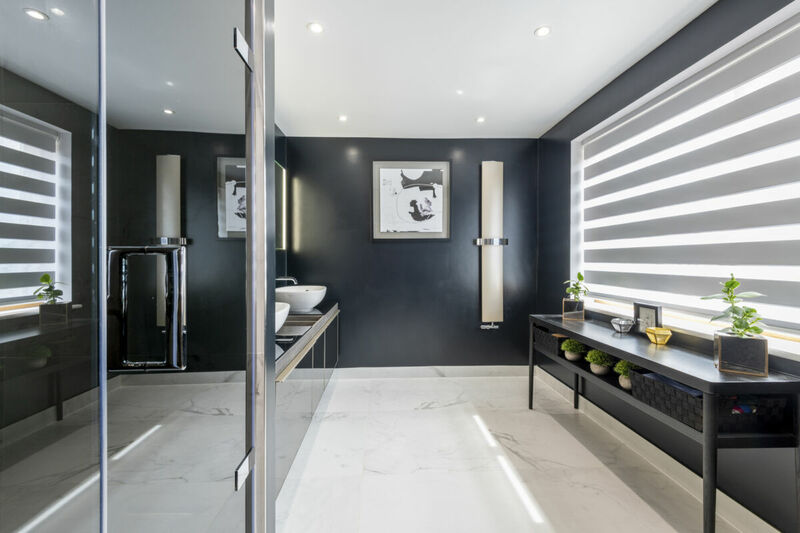 Fresh from success at the 2018 Designer K&B Awards, winning Show Space of the year, the showroom is fast becoming a go-to destination for high-end Bathroom Design in the Midlands. 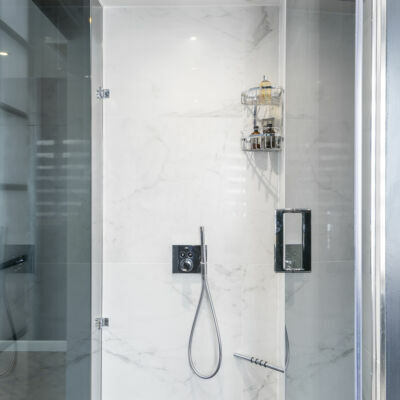 Reconfiguring the entire East Wing of a large family home in Warwickshire, Lisa Melvin and her team have transformed the space to include a sumptuous master Bathroom – combining a dressing area and wellness suite. 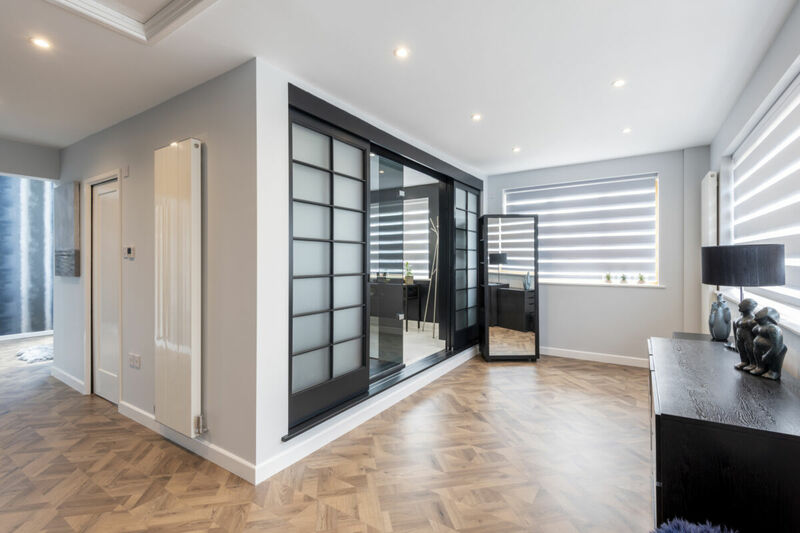 Taking on a purposeful minimalistic design, the bathroom has a subtle a Japanese aesthetic using Shoji-inspired sliding doors to create a tranquil escape from daily life. 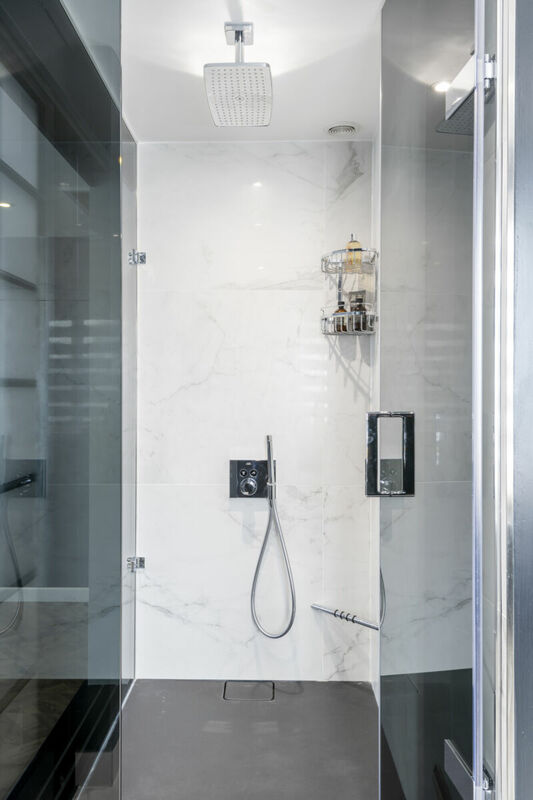 A Matki EauZone Plus Hinged Door with Inline Panel for Recess forms the entrance to the large showering area, with Bespoke Minimal wall framing the Shower Door blends beautifully with the commanding style of the suite. 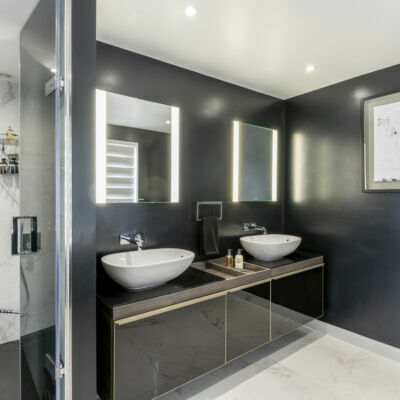 Kuche & Bagno provide full specification, design and project management for Kitchen, Bathroom and Bedroom projects – always aiming to create the ‘wow factor’ within the home. 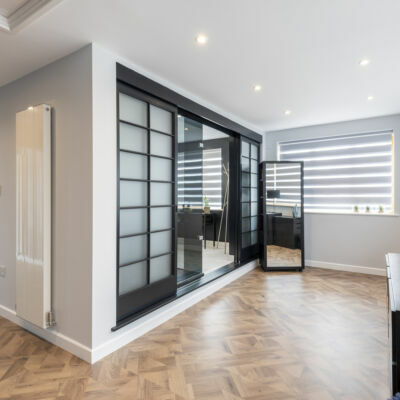 As a Matki Centre, there are a number of beautifully presented EauZone Plus and Collection displays within inspiring room and lifestyle settings. For specifiers there is also a ‘spec hub’ showcasing materials and samples from a range of quality manufacturers.